Maruti Suzuki India on Thursday said it will shut its main plant at north Indian city Gurgaon for two days starting Friday due to component supply constraints from SPIL, where workers are on a stir in support of the striking colleagues at the country's largest car-maker's Manesar plant. 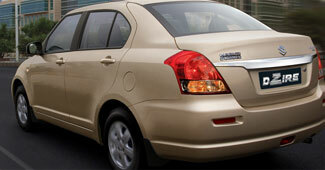 "Maruti Suzuki has decided to suspend production at the Gurgaon plant on October 14 and October 15. This is in view of the non-availability of components for cars," the company said in a statement. Production at Gurgaon plant remained low Thursday and rolled out only 600 vehicles as against the normal daily production of 2,800 vehicles, it said. "The production loss for these models can be recovered once the production resumes," it said. Workers at SPIL and Suzuki Motorcycle India Pvt Ltd (SMIPL) have gone on a simultaneous strike since October 7 in support of their colleagues at MSI Manesar plant. SPIL supplies engines and transmission to MSI. The strike by the workers entered the seventh day on Thursday despite the Haryana government declaring it illegal Wednesday for violating a settlement agreement signed on October 1 to end a 33-day-long standoff. The Haryana Labour Department on Thursday filed a civil suit in a Gurgaon court alleging that that unions of SPIL and SMIPL and representatives of MSI' Manesar plant workers had violated agreement and action must be taken agains them.